Mobile World Congress took place this week, and aside from a few Microsoft-related(s msft) announcements, the show was all about Android. As expected, most of the major handset makers introduced new smartphones, with each trying to differentiate from their peers. LG is leveraging 3-D technology while ZTE went big with a wide range of eight new handsets. HTC has typically taken the same approach as ZTE with many smartphone models, but this year is a different story. 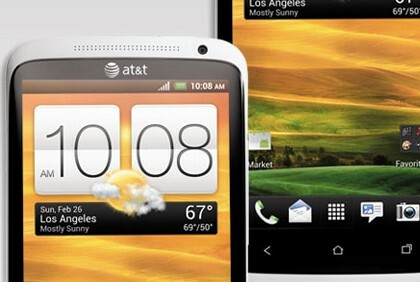 In light of slowing sales and many models, HTC is refocusing on a single Android line, the HTC One. It’s a smart move, although it appears that HTC is abandoning the low- to mid-end of the smartphone market with this decision. Two versions of the One will launch in the U.S. this spring: the One S on T-Mobile’s network and the One X on AT&T (s t). Both share similar qualities: Android 4.0 with HTC Sense 4.0; Beats Audio technology and an 8-megapixel camera with a wide f/2.0 aperture; large, high-resolution displays; and a Qualcomm(s qcom) 1.5 GHz dual-core processor. It’s worth noting that the One X outside of the U.S. will use a quad-core Nvidia(s nvda) Tegra 3 chip. For now, however, the Tegra 3 doesn’t support an LTE radio. And that means its chip can’t power many new phones, for AT&T, as the carrier, wants to push its new 4G network. Nvidia did announce new LTE radio partners this week, so eventually it will be able to offer LTE handsets. 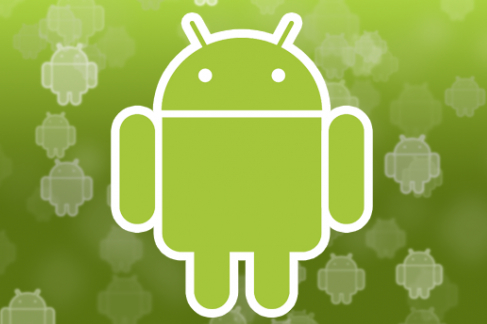 As the Mobile World Congress event wound down, OnLine made an announcement for Android tablets and phones. The company already offered OnLive gaming, a cloud-based service that offers console-quality titles, and now supplements it with a remote Windows 7 solution. 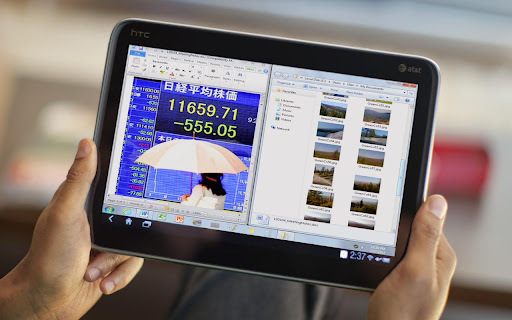 OnLive Desktop, a free download in the Android Market, connects an Android tablet or smartphone to a Windows instance in the sky. OnLive’s servers host the Microsoft environment. The free service offers 2 GB of remote storage and access to the Office productivity suite. Paid plans bring support for more Windows features and additional storage. I tested OnLive Desktop on both my Galaxy Tab 7.7 and loaner Asus Transformer Prime, and it works well; at least over Wi-Fi. I haven’t yet tested it over mobile broadband. With a good connection, there’s very little lag. I was able to type and edit a Word document just as well as if I were running Windows directly on a computer. For those that use Android devices but need occasional access to Windows 7, I recommend giving OnLive Desktop a try. Kevin–if this is to be believed, ICS is coming to Galaxy S II owners (not sure why Israel is 1st). Id heard they Sammy had said the Note would now only be Q2. Who needs a standard PC anymore? As innovation moves forward and product ranges grow, these big players will start cannibalising on their own work? Can we argue that COMPETITION will not exist at some point? I’ll second the recommendation to try OnLive Desktop. You may find that it’s time to throw out your PC. Android is dominating the cell phone market (or soon will) and the iPad will be destroyed by Android tablets due to only open-source reaons.